Background: Bulbophyllum neilgherrense Wight. is an epiphytic orchid used extensively by the tribes of Karnataka in various diseases such as heart disease, leukoderma, skin allergy and rheumatism. It is used both internally and as an external application. In rheumatism, pseudobulbs chopped and boiled in coconut oil are applied externally. Aim: This study aims to evaluate analgesic and anti-inflammatory activities of B. neilgherrense Wight. pseudobulb powder in experimental animals. Materials and Methods: Shade-dried pseudobulb were pulverized into fine powder. The analgesic activity of test drug was evaluated with tail-flick response and formalin-induced paw licking and anti-inflammatory activity with carrageenan-induced paw edema and formaldehyde-induced edema in Charles Foster albino rats. Statistically, the values were assessed with one-way analysis of variance followed by Dunnett's multiple t- test and Student's t-test for paired and unpaired data. Results: Administration of pseudobulb powder showed significant increase in tail-flick response at 30 min (51.75%), at 60 min (108.24%), 120 min (81.12%), and 180 min (23.84%). Test drug produced nonsignificant inhibition of carrageenan-induced paw edema at 1 h (37.25%) and 5 h (15.67%) compared to control group and did not produced any effect in formalin-induced edema. Conclusion: The present study concluded that the test drug has central analgesic activity against radiant heat-induced pain, moderate anti-inflammatory activity against carrageenan-induced acute inflammation. Background: Artabotrys hexapetalus [(L.F) Bhandari] a medicinal plant is commonly known as 'Hari Champa' and its roots and fruits are used for treating malaria and scrofula, respectively. 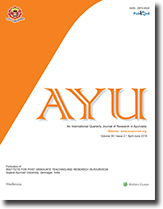 Objective: The aim of this work was to develop a sensitive, fast and reproducible high-performance thin-layer chromatographic (HPTLC) method for simultaneous analysis of quercetin and apigenin in various extracts of Artabotrys hexapetalus (L. f.) Bhandari (Family Annonaceae) and further to assess antileishmanic effects of different extracts of A. hexapetalus against Leishmania donovani. 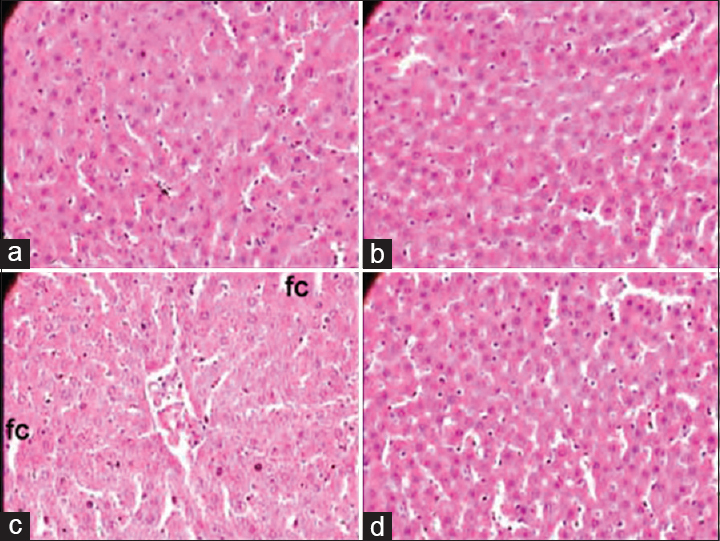 Materials and Methods: Metabolic fingerprinting was developed using HPTLC with quantification of markers (quercetin and apigenin). The method was validated for linearity, specificity, precision, accuracy and robustness. Among the different combinations of mobile phases used, best separation was achieved in toluene:ethyl acetate:formic acid (6.5:3:0.5, v/v/v). Densitometric scanning of the plates directly at 254 nm was used for analysis of quercetin as well as apigenin. The concentration-response curve was plotted and IC50 values were determined using 3-(4,5-dimethylthiazol-2-yl)-5-(3-carboxymethoxyphenyl)-2-(4-sulfophenyl)-2H-tetrazolium assay. 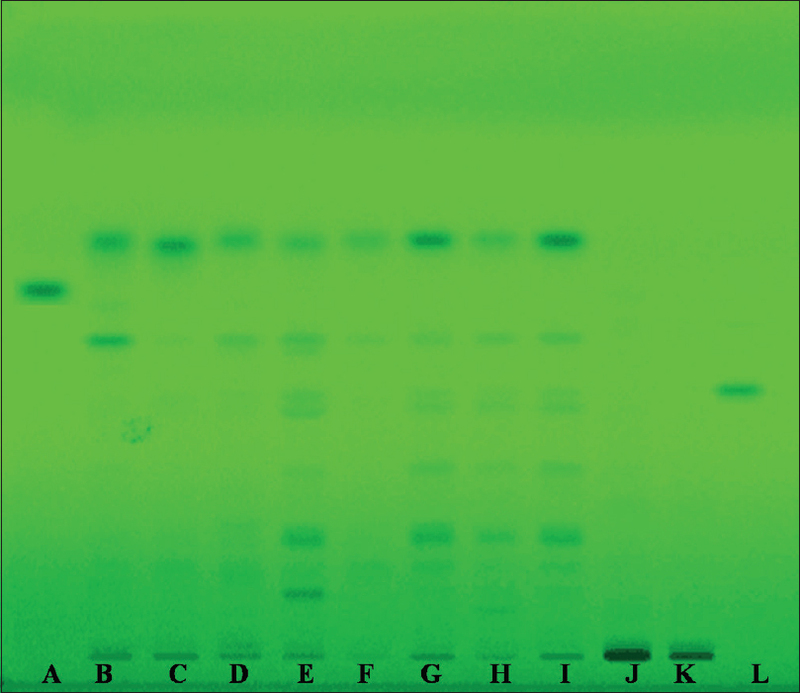 Results: Compact bands for quercetin and apigenin were obtained at Rf0.52 ± 0.001 and 0.73 ± 0.002, linearity were found satisfactory for quercetin and apigenin. Linearity range for quercetin and apigenin were 100–1000 ng/spot and 100–2000 ng/spot, respectively, with r2 = 0.996 ± 0.002 and 0.993 ± 0.003, limit of detection (15.56 and 13.78 ng/spot), limit of quantification (51.8 and 45.94 ng/spot), recovery (98.7%–99.7% and 96.8%–98.8%) and precision with %RSD <2%. Various dried extracts were found to contain quercetin in the range of 0.35%–4.26% (w/w) and apigenin in the range of 0.64%–8.46% (w/w). Cytotoxicity assay of extracts over promastigotes showed that petroleum ether extract was found to be most cytotoxic (IC50 30.28 ± 1.06 μg/mL) after 96 h in comparison to other extracts. The finding of this study indicates that this plant is effective against L. donovani in vitro. Conclusion: The present HPTLC method is being reported for the first time and can be used for routine quality control. The petroleum ether extract of A. hexapetalus displayed potent antileishmanial activity and can be further explored for the development of antileishmanial treatment regimen. Background: The herb, Commelina paludosa (CP) Blume (Family-Commelinaceae) is medicinally used by the traditional practitioners in Bangladesh. However, there is a lack of scientific evidence on this medicinal herb. Aim and Objectives: This study aimed to evaluate the phytochemical and pharmacological activities of CP (ethanol [ECP], chloroform [CCP] and n-hexane [NHCP] of whole-plant extracts). Materials and Methods: For this antioxidant, antimicrobial, antidiarrheal and antipyretic activities of crude extracts of CP were conducted by 1,1-diphenyl-2-picrylhydrazyl (DPPH) scavenging, disc diffusion and serial dilution, castor oil-induced diarrhea and yeast powder-induced pyrexia methods respectively. Results and Observation: The results suggest that all the fractions significantly scavenged DPPH radicals. In the disc diffusion test, the zones of inhibition were observed within the range of 7 mm to 30.67 mm at 500 mg/disc. The highest zones of inhibition were observed by ECP, CCP and NHCP against Bacillus azotoformans, Lactobacillus coryifomis and Salmonella typhi respectively. 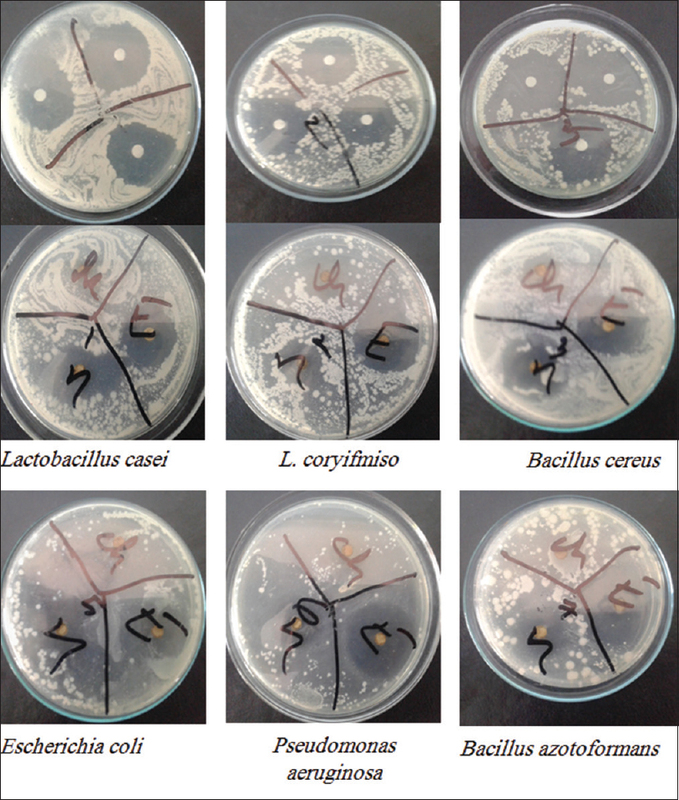 NHCP was found to exert stronger antibacterial effect than the ECP and CCP. Conclusion: Minimum inhibitory concentrations were detected within the range of 31.25 and 250 μg/ml. Moreover, the crude fractions also showed significant (P < 0.05) antidiarrheal and antipyretic activities in Swiss mice. CP may be a good source of therapeutic components. Introduction: Metriviv syrup is a poly-herbal formulation used as uterine tonic and for treating gynecological ailments such as infertility, leucorrhea, and menstrual disorders. There is no scientific data on the safety of this formulation available, therefore, its detail toxicity study in female albino rats was conducted. Aims and Objective: Acute toxicity and repeated dose 28 days oral toxicity study of metriviv syrup in female rats. Material and Methods: In oral acute toxicity study, syrup metriviv was administered orally once only at the dose of 2000mg/kg in rats in a sequential manner. For repeated dose toxicity study, Metriviv syrup was administered orally for 28 consecutive days in albino rats at three dose levels, i.e., TED, TEDx5 and TEDx10 dose levels (1.35, 0.75, 13.5 ml/kg, twice a day respectively). Results and Observation: Results of acute toxicity study showed that drug did not produce any behavioral changes, signs of toxicity and mortality up to the dose of 2000 mg/kg in rats. In repeated dose 28-day oral toxicity study, Metriviv did not produce any signs of toxicity and changes in behavioral parameters. Metriviv did not affect cellular as well as non-cellular elements of the blood to significant extent. Serum biochemical profile and histological study clearly indicated that the test formulation is not likely to produce any serious changes at lower dose level while produced mild-to-moderate changes at TEDx10 dose level and same was reverted in recovery study after discontinuation of the drug. Conclusion: The study concluded that metriviv syrup is safe to administer up to dose of 2000 mg/kg in female rats during acute toxicity. 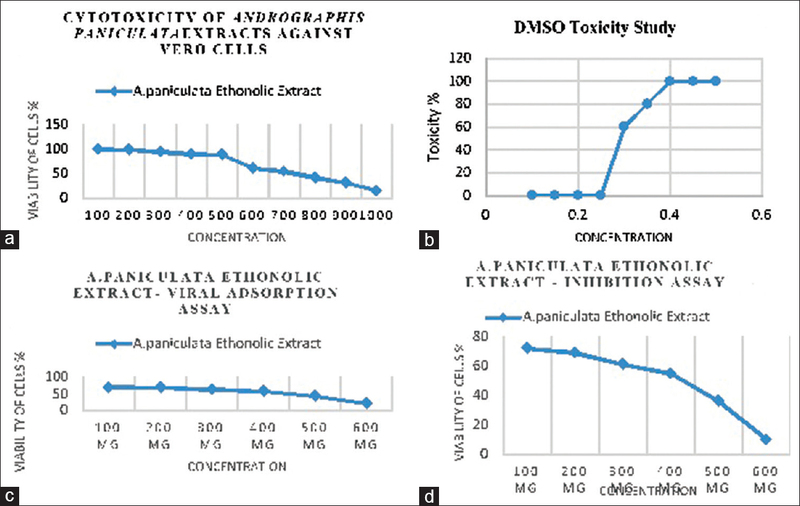 In repeated dose 28-day oral toxicity study, test drug at TEDx10 has only mild-to-moderate adverse potential for liver and kidney while did not have any major toxic effects at therapeutic dose level in female albino rats. Background: Dentistry plays a crucial role in shaping the esthetics of a person and thus boosts the self-esteem of an individual. Whitening of the teeth is the most popular procedure where surface and deep stain removal whitens the teeth. Teeth whitening is achieved by professional application of chemicals and can also be self-administered by numerous products available. The most popular product is teeth whitening paste which is simple in application and easily available. Recently, teeth whitening tooth paste is commercially available where natural ingredients or their derivatives are used instead of chemicals for teeth whitening. Aims: To investigate and compare the effect of commercially available chemical teeth whitening toothpaste and teeth whitening toothpaste containing ingredients of herbal origin on human enamel (at the Department of Oral and Maxillofacial Pathology, Royal Dental College, Kerala, India). Materials and Methods: An in vitro study with a duration of 14 days was conducted. Settings and Design: An in vitro study was conducted twenty samples were taken and assembled in to two groups of 10 each. Group A for teeth treated with conventional chemical toothpaste and group B for teeth treated with toothpaste containing ingredients of herbal origin. 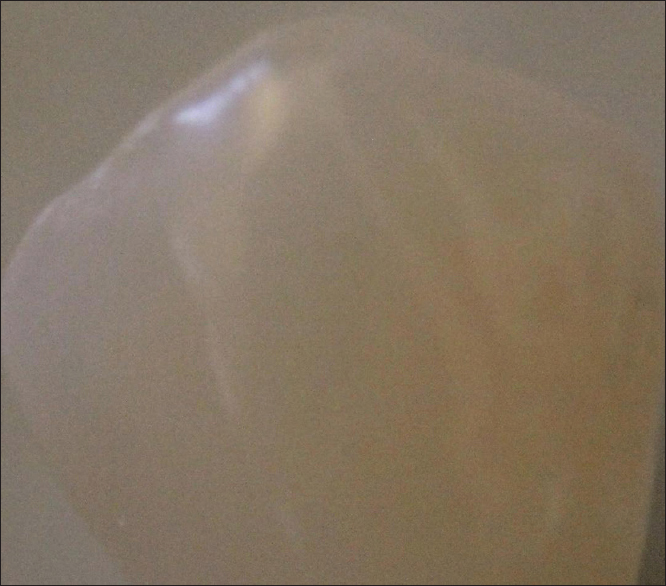 Premolars extracted for orthodontic purpose were checked for shade with Vita 3D shade guide and were observed under a stereomicroscope for surface morphology before the procedure. Each section was cleansed twice daily for 1 min with specified toothpaste and soft bristle toothbrush according to their groups and then cleansed with tap water and stored again in the same solution. After 14 days, the teeth were tested for the shade using vita 3D shade guide and surface morphology using stereomicroscope. Statistical Analysis Used: Student's unpaired t-test. Results and Conclusion: In this 14-day in vitro study, the chemical whitening toothpaste showed better whitening of teeth than toothpaste containing ingredient of herbal origin, whereas the surface irregularities was increased on the surface of the enamel with chemical whitening toothpaste when compared with toothpaste containing ingrtedients of herbal origin.